Director Lubitsch, known for his mythical “touch” and at the height of his artistry in 1940, seems to have taken special care with The Shop Around the Corner. 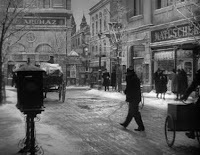 It was one of his favorites of own films and he wrote, “Never did I make a picture in which the atmosphere and the characters were truer…” The atmosphere is unmistakable...from the first strains of “Ochi Tchornya” heard over Leo the Lion’s roar, to the dreamlike locale near Budapest’s historic Andrassy Street, to each of the film’s distinctive characters, the spirit of old Europe is alive on screen. 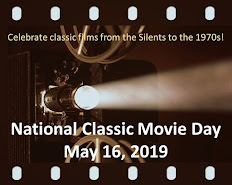 Samson Raphaelson (Suspicion, Green Dolphin Street) penned a screenplay based on Nikolaus (Miklós) László’s play; William H. Daniels (The Naked City, Cat on a Hot Tin Roof) was cinematographer and Werner Heymann (Ninotchka, To Be or Not to Be) wrote the score. The ensemble cast includes several of MGM’s top supporting players. Among them is Frank Morgan in one of his most interesting roles as Mr. Matuschek, the colorful charmer who owns the gift shop. A dark turn in the subplot concerning Matuschek gives Morgan an opportunity to portray affecting pathos. Venerable Felix Bressart plays the meek/endearing clerk, Pirovich (shown in the scene below). Versatile Joseph Schildkraut defines ‘loathsome’ as Vadas. Also in the featured cast are Sara Haden, William Tracy and Inez Courtney. The stars, James Stewart and Margaret Sullavan, shared a legendary chemistry on film and it is never more apparent than in The Shop Around the Corner. Stewart is at his most appealing as Mr. Kralik, head clerk and right hand man to Mr. Matuschek. In this role, Stewart's broad signature mannerisms are tempered by the sensitivity with which he plays Kralik's romantic yearnings. But it is Sullavan's performance that astonishes. Her Klara Novak, an idealistic but difficult shop girl blinded by lofty dreams, exudes breathless eagerness, brittle fragility, willfulness and so much more. Sullavan’s amazing voice, her eyes, her facial expressions and physical movements - all are musical. 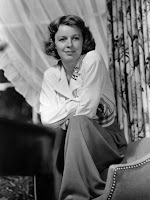 Margaret Sullavan was discovered on Broadway by director John M. Stahl (Leave Her to Heaven) who brought her to Hollywood to star in Only Yesterday (1933) with John Boles. By this time Sullavan had already married and divorced Henry Fonda and would soon marry director William Wyler. By 1936 the actress was married to agent/producer Leland Hayward and about to make her best films: Three Comrades (1938), which garnered Sullavan a Best Actress Oscar nomination, The Shopworn Angel (1938), The Shop Around the Corner (1940) and The Mortal Storm (1940). In the last three she co-starred with James Stewart. 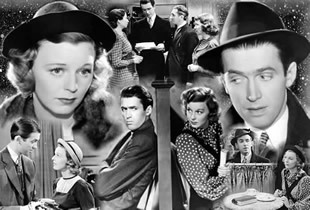 The pair had first worked together on Next Time We Love (1936), a result of Sullavan suggesting her old friend Stewart for the part. In The Shop Around the Corner, the third of the their four collaborations, the co-stars seem to practically dance their scenes together, such is the rhythm between them. Mr. Matuschek returns to his store on Christmas Eve to total the day’s receipts, thank his staff and hand out bonuses. It is closing time and as the wistful shopkeeper departs, he says goodnight to, and we have a last glimpse of, most of the others as they leave to celebrate the holidays. When new young employee Rudy (Charles Smith) emerges, Matuschek takes him under his wing and out to a glorious Christmas dinner of roast goose, potatoes in butter…and “a double order of apple strudel in vanilla sauce.” The two, no longer alone on Christmas Eve, strike up a joyful camaraderie. Eve, this is a first-rate, heartfelt review of a charming Lubitsch holiday classic. His unique "touch" is indeed on the display here. I'm glad you singled out Frank Morgan, who delivers one of his finest performances in a long career of fine performances. Lubitsch always knew the perfect way to end a film. The closing scenes you described between Matuschek & Rudy and Kralik & Klara leave a lingering warmth covered with a subtle outburst of love--a timeless recipe for holiday good cheer. Thoughtful review of a Christmas favorite. Make that a favorite during any season! I can really feel your love of this movie in your excellent review, Eve. It does have a dream-like quality that appeals to me, and I have always liked it. Frank Morgan is one of my favorite actors, and he just shines in this. I liked your description of Joseph Schildkraut, that he "defines loathsome." He sure does. Thanks for a compelling review. 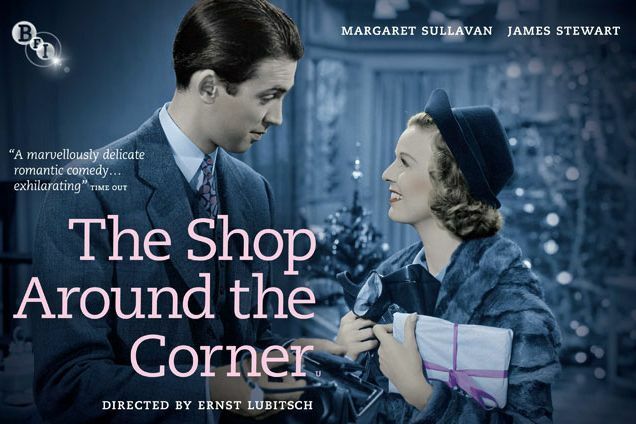 I'm happy to know that my affection for "The Shop Around the Corner" came through in this review. It was most heartfelt. I'm so pleased TCM is airing "Shop" twice this year (today and on Christmas), it's really one of the finest holiday (or anytime, as Anon. says) films ever - Lubitsch at his very best. Eve, a lovely review of a lovely film. I appreciate the attention you paid to Margaret Sullavan, one of my very favorite actresses of the late 30s-early 40s and easily the most underappreciated. This is for me her best performance, followed closely by "Three Comrades." Although her daughter Brooke Hayward's autobiography "Haywire" (1977) is about her whole family, it contains virtually a mini-biography of Margaret Sullavan, and she comes off as a unique and vivacious person, a trained stage actress who hated the celebrity attention required of a movie actress, whose movie career ended far too early, and whose life turned quite sad toward the end. Your readers might be intrigued by the fact that she was set to play Eve Lovelace in "Stage Door" but had to drop out when she became pregnant with her daughter. 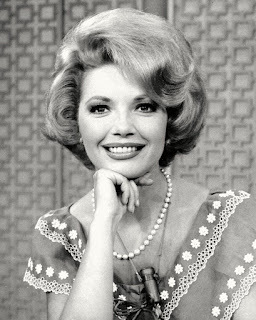 She was often a rival of Katharine Hepburn for roles while at RKO before her third husband, talent agent Leland Hayward, got her a contract at MGM, where she made "Shop." I'll be rewatching this as my New Year's Day treat this year! To correct something I posted above, "Shop" is airing on TCM tomorrow (not today) and on Christmas. Eve, What a wonderful review, for one of Jimmy Stewarts best movies and also one of the sweetest, most enjoyable Christmas romantic comedies. He gave a very belivable performance when he was fired from his job. You could actually feel how hurt and embarrassed he was. Eve, I feel as if I was peeking through a window on a very cold, wintry day and was shepherded inside and made to sit on an overstuffed wing chair in front of a crackling fire, given a mug filled with steaming cocoa and whipped cream, and offered a plate of assorted, delicious Christmas cookies. The stuff that dreams are made of. Perfectly lovely review. Merry Shop Around the Corner Christmas! 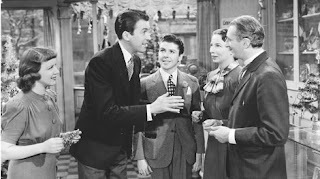 Dawn, I think this is my favorite of all Jimmy Stewart's performances - Kralik's dilemmas and joys allowed him to display much versatility - and so artfully. great review of an almost perfect movie..the ultimate in LUBITSCH charm...great pedigree...poor JOSEPH SCHLIDKRAUT can not get a break though...I have raved about this film several times @CFU!!! Belatedly, love your review of this perfect film. Great cast and interesting to see Frank Morgan play such a different role for him. Also like William Tracy as the know-it-all assistant. Joseph Schildkraut so good as the oily Vadas. Stewart and Sullavan - what can you say, a perfect team. Such a good plot, it later became In the Good Old Summertime,with Judy Garland and Van Johnson and later still, a stage musical with Daniel Massey and Barbara Cook. But the original is best! What are your holiday movie or TV traditions?